It is a mistake to consider English (or any other widely spoken language for that matter) as the lingua franca of today. Technology and globalization have given rise to a much more powerful, more universal language: icons. More accepted and pervasive than any language on Earth, icons are an omnipresent force in our lives today and have been so for quite some time. They guide us through the myriad of tasks we perform daily—tasks that are now second nature to us. They teach us how to use our new shavers, blenders and smartphones. From the time any of us first drove a car, rode a bicycle or passed through an airport, icons have been there, ever-present copilots on the journeys of our lives. Their presence saves us (and in turn, others) from embarrassment every time we visit a public restroom. The examples are innumerable. The notion that complex ideas can be reduced to simple graphic abstractions with inherent universal recognition is a fascinating concept. Icons are powerful because they mean something. But who, or what gives them their meaning? Is it inherent, intrinsic in their nature? Or can these powers be conferred upon random abstractions as well? 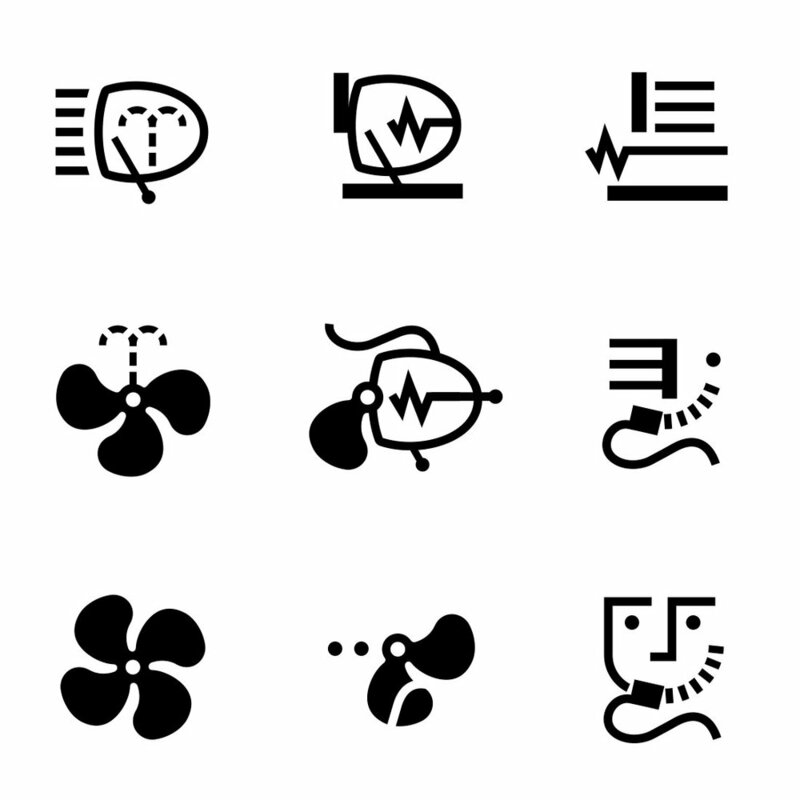 One of my primary motivations in deciding to study graphic design was my love of icons. I had always enjoyed looking at them, and wanted to learn the process of creating them. But in learning to construct them, I also found myself de-constructing them. How were their meanings informed by their design? Why was one instantly understandable to all while another wasn’t? How much of a role did history, culture, science or religion play in our recognition of these symbols? What ties these symbols to our understanding of them? In trying to better understand icons (and by extension, ourselves), this project explored the issue of meaning in icons. By manipulating and transforming currently existing icons from multiple regions of the world, the experiment bred an entirely new set of counterparts. The results were surprising. Some appeared familiar but were devoid of meaning. Others carried implicit definitions but were completely unrelated to the icons that spawned them. All could easily fit however, into a rapidly increasing and evolving language that may one day truly become a global lingua franca: Iconish. Special thanks to Jason Bice for writing this essay.